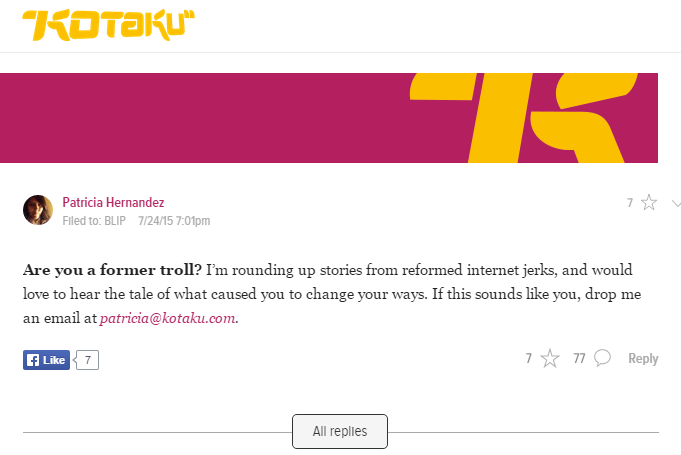 DavidGX's House of Smaller Houses: To Kotaku: Confessions of a former troll. 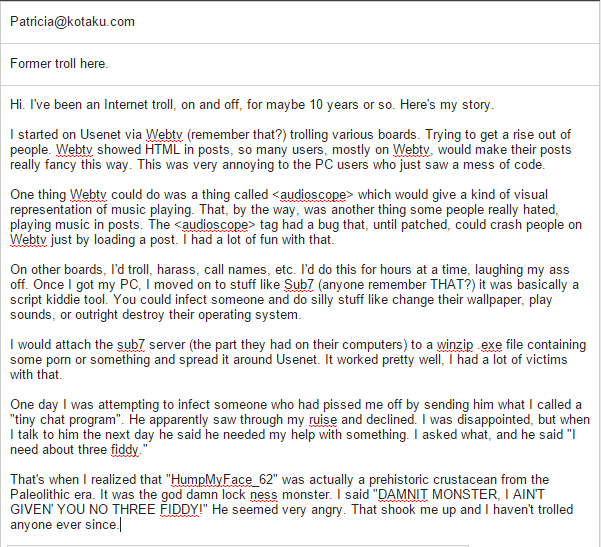 To Kotaku: Confessions of a former troll. If I get a response, I'll let you know.